Today, great project management and learning design / development skills are a must-have, not just a nice-to-have. Our goal is to not only to help you begin your project on target, but stay on target. Coupling learning by doing using real-world examples with varying degrees of exercises and interactivity creates an emotional and skill connection between the course and personal responsibilities. We’ve helped over 6,000 people achieve their goal of becoming PMP® or CAPM® certified, with a first-time pass rate far higher than the industry average. Classes are available in a variety of formats to fit your learning needs and busy schedule. What’s Top of Mind for Training Leaders and Individuals? Our focus at Forward Momentum is to not only understand your greatest issues, but to work with you side-by-side and help provide you with solutions that alleviate your stress via the following information and tools. After interviewing our customers and researching your greatest issues, here’s what we found, along with how we can help you. We are with you in this training and development journey, regardless if you are an individual or an organization. 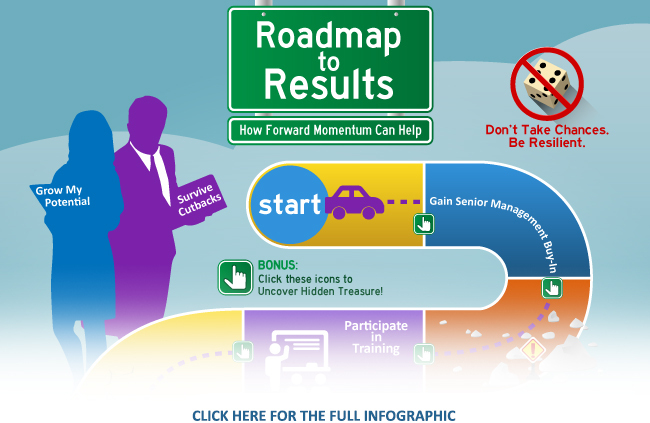 Forward Momentum provides you the results and experience necessary to help positively impact your organization’s bottom line, enables immediate and direct application of best practices, while helping organizations attract, engage and retain talent. We provide the intellectual and emotional know-how that materializes in results, from high first-time exam pass rate to running projects effectively and efficiently, to leading teams, to attracting, engaging and retaining talent. Our community of experts is here for you through training, mentoring, and resources via eBooks, blog articles, white papers and enewsletters. See the difference we’ve made for others through their own words. Contact us today to get started delivering results.